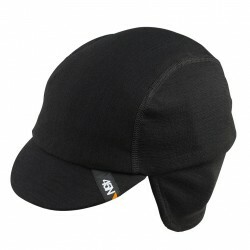 45NRTH Greazy Cap. Gain eye and ear coverage with double-layer 100% merino wool. Flat-lock stitching makes for a comfortable fit under the helmet, and the flexible brim does not crease when crumpled into a pocket for storage.